The Avid Pro Tools HD Thunderbolt System with HD I/O 16×16 Analog & Ultimate Software helps you create complex, high-quality audio productions using the full capabilities of Pro Tools HD software in a lower-cost native solution. 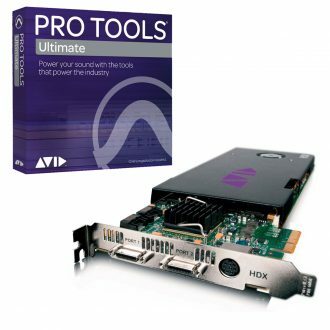 For music and post-production professionals who want the absolute best performance possible on the host, Avid Pro Tools|HD Native in Avid Pro Tools HD Thunderbolt + HD I/O 16×16 Analog is a new generation of PCIe-based Pro Tools core system that harnesses the power of your computer to deliver the lowest latency and highest stability of any native system. Easily compose, record, edit, and mix music or sound for picture with great speed and reliability. And with guaranteed high track counts, plus groundbreaking low latency, you can tackle bigger productions more confidently than ever before with a native workstation. 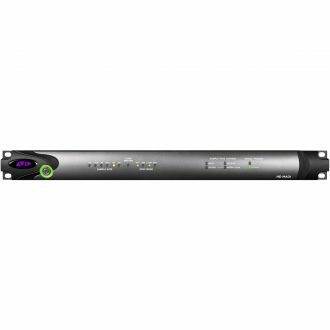 Enjoy outstanding audio clarity and power by pairing the PCIe card and software with a supported Mac or PC and one or more Pro Tools HD Series interfaces to complete your Pro Tools|HD Native system. With interfaces that feature premium audio conversion for the most transparent sound, all-in-one functionality, high-quality mic preamps, full monitoring capabilities, and MADI connectivity, you gain better flexibility to meet your needs now and in the future. With Pro Tools|HD Native, you gain the power and creative tools to compose, record, edit, sequence, and mix studio-quality audio-at up to 192 kHz resolution. Create complex compositions with the integrated Score Editor and MIDI production tools. Track sessions with extremely low latency. And gain inspiration and professional polish from over 70 included effects and virtual instruments. 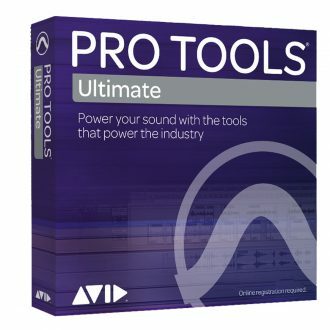 In addition to the huge treasure trove of plug-ins, virtual instruments, and audio loops you get with Pro Tools HD software, you also get a powerful collection of sound processing and utility plug-ins to help you track and achieve better-sounding mixes. What’s more, you can further expand your sonic palette with a wide range of RTAS/AudioSuite* plug-ins, virtual instruments, and software options available from Avid and other third-party audio designers. 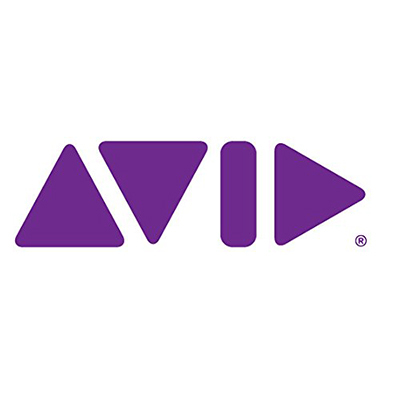 Use the included Pro Tools HD software and you’ll maximize your productivity, efficiency, and creative potential, as well as gain unparalleled performance and control of Avid audio and video interfaces, consoles, control surfaces, and live sound systems. But you can also use your Pro Tools|HD Native hardware with other Core Audio- and ASIO-compatible DAW software such as Logic, Nuendo, Live, Cubase, Reason, and Fruity Loops-with support for 64 channels of I/O-opening up even more creative avenues. Get the absolute highest audio quality and unprecedented I/O flexibility with Avid HD I/O, a high-performance Pro Tools HD Series audio interface that’s designed to completely integrate with Pro Tools|HD systems. While its sleek look resembles its prior generation interfaces, HD I/O has been completely redesigned on the inside with high-quality electronics, giving you pristine, best-in-class A/D and D/A conversion and the lowest possible latency. Plus, with three configurations to choose from and a modular design, you can expand and customize the interface for your connection needs. 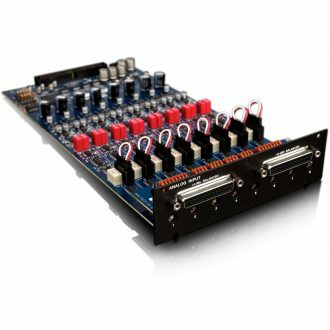 Whether you work with music or sound for picture, HD I/O gives you professional-grade audio quality, high-performance conversion, and the flexibility to integrate with a variety analog and digital gear, so you can quickly adapt the interface to meet whatever need comes your way. 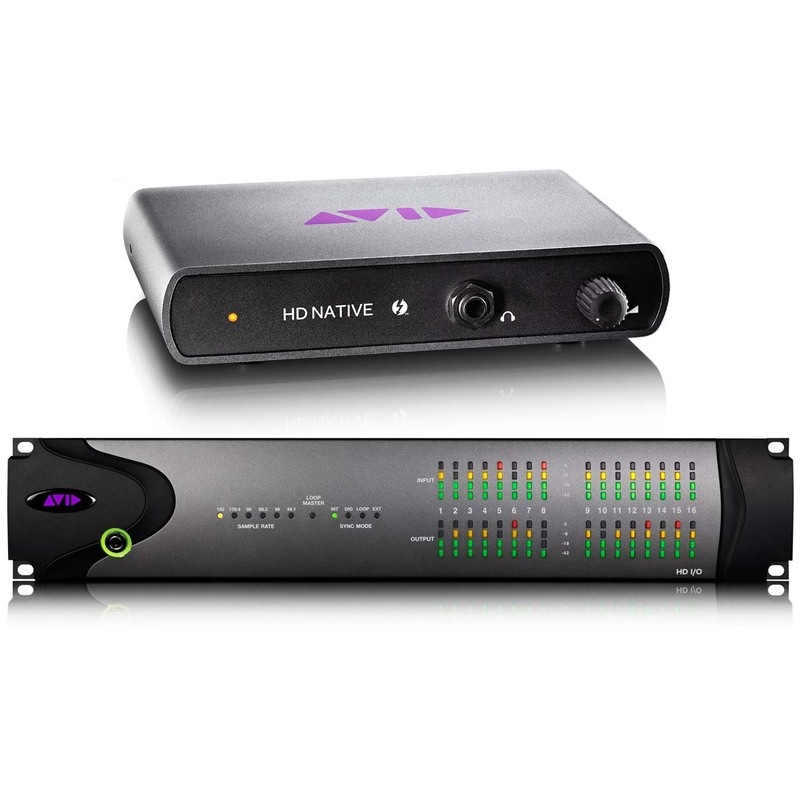 A sonic improvement over its audio interface predecessors, HD I/O in Avid Pro Tools HD Thunderbolt + HD I/O 16×16 Analog features premium A/D and D/A conversion, so you can achieve higher audio fidelity, extensive dynamic range, super-low jitter, and the absolute lowest possible latency in your sessions. With certain configurations, you also get built-in sample rate conversion and a soft clip feature for worry-free recording. And using Curv, a new built-in soft-knee limiter that catches even the fastest transients, you can track hotter signals and smooth out inconsistent levels from incoming sources. HD I/O comes in three configurations, so you can choose the interface that best suits your connection needs. What’s more, you can expand your analog or digital I/O by simply installing an HD I/O option card into any empty bay (HD I/O 16×16 Analog cannot be expanded, as all four bays are occupied). 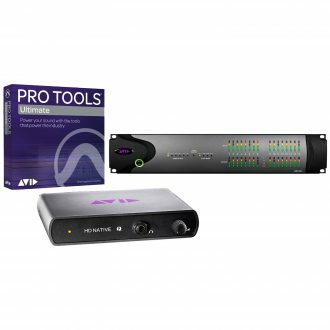 The ideal choice for music productions-get the maximum complement of analog inputs and outputs, also in Avid Pro Tools HD Thunderbolt + HD I/O 16×16 Analog (can be customized by replacing a card, but not expanded). 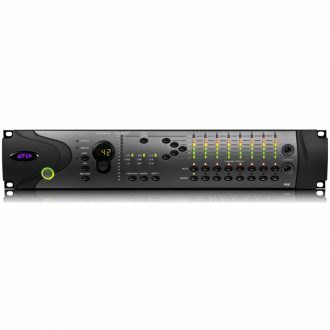 The Avid Pro Tools HD Thunderbolt + HD I/O 16×16 Analog is the ultimate choice for post-production studios, and ideal if you need to interface with a digital mixer, dubber, or other digital infrastructure, and want the option to expand the I/O. As your needs grow or change, you can easily add more analog inputs, analog outputs, or digital I/O by installing an option card. You can install one option card in HD I/O 8x8x8 and up to two in HD I/O 16×16 Digital. 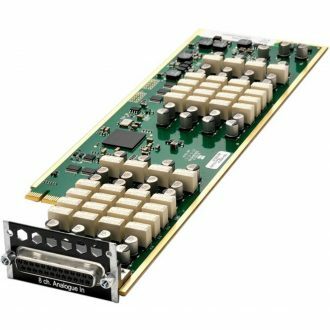 While HD I/O 16×16 Analog in Avid Pro Tools HD Thunderbolt + HD I/O 16×16 Analog comes with the maximum four cards, you can customize your I/O by swapping out any card. HD I/O in Avid Pro Tools HD Thunderbolt + HD I/O 16×16 Analog and all other Pro Tools HD Series interfaces completely integrate with Pro Tools|HD, so you get maximum performance, dependability, and control of your inputs, outputs, and routing right from your Pro Tools software interface. You’ll also get higher production quality and greater workflow flexibility than with previous Pro Tools interfaces. And if you want to use your interface with Pro Tools|HD and other DAW software, you can do that too, as all Pro Tools|HD systems support Core Audio and ASIO drivers.